If you have finally decided to sign up for a Chanhassen boot camp, there are several important things you need to consider before you decide on the right program for you. Completing a boot camp can help you jumpstart your metabolism, lose weight and get fit, but it’s important to find a program that you can stick with. The type of routine you need will depend on your personal goals and your fitness skills. To narrow down your choices, you need to evaluate your fitness abilities, schedule, and what you hope to accomplish after you finish the program. Before you start looking for a Chanhassen boot camp, ask yourself if you are really ready to push your body to the limit on a regular basis and follow an intense fitness regimen for at least several weeks. Boot camps are very effective, but they require a serious commitment. If you are completely new to working out, then a boot camp might not be a good option for you because it can quickly become too overwhelming if you aren’t ready. For beginners, it might be a better option to stick with moderate exercise or a personal trainer. However, if you feel that you are ready to change your life a boot camp might be what you are looking for regardless of your level of experience. Ultimately, the best way to decide if you are ready to complete a boot camp is to be honest with yourself about your ability to commit to an extreme workout regime and a strict diet plan. The intensity of a boot camp routine can vary dramatically depending on the Chanhassen boot camp program you choose. Most professional gyms and boot camp organizations can help you assess your fitness ability and goals in order to match you with the best boot camp program and instructor. If you are very out of shape, be honest with yourself and the fitness professionals you contact. The more information you provide, the more likely they are to match you with an instructor who can help you succeed. The last thing you need to consider when choosing a Chanhassen boot camp is the length of time you are willing to commit to your new workout regimen. Remember that while boot camps don’t require a specific diet, it’s best to change your eating habits during the program to maximize the results. Your instructor will be able to help you come up with a diet plan that will allow you to achieve your goals faster. Boot camp programs can range in length and frequency. Keep in mind that while they are very intense, five-day boot camps are not ideal. 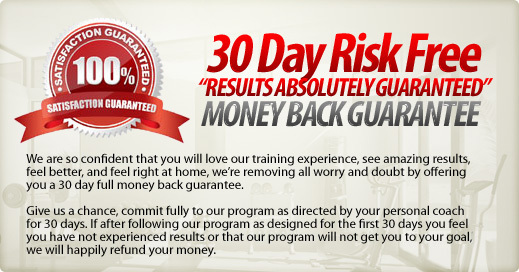 Research has shown that you don’t need to exercise every day to get amazing results from a boot camp program. Three days a week, or even one day a week if that’s all your schedule allows, can get you great results as long as you are fully committed to the program.